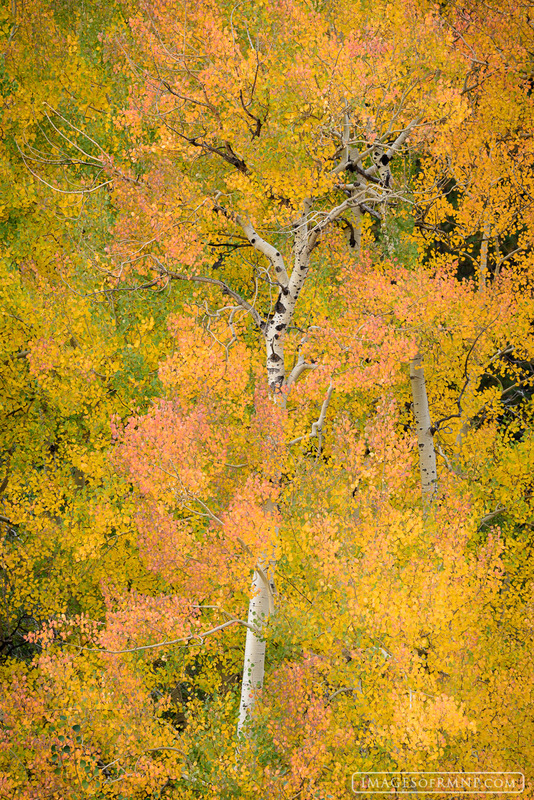 I found this beautiful aspen scene right near the main entrance to Rocky Mountain National Park and was immediately captured by its abstract beauty. It reminded me strongly of the paintings of the famous Austrian, Gustav Klimt and made me wonder if he wasn't inspired by an autumn scene much like this one. Photo © copyright by Erik Stensland.